I like gin from Michigan; mostly because I’ve never had a bad one and so, now, whenever I see a mention of the Great Lakes state on a bottle, as with Two Bird Artisan Spirit’s Greyling Gin, my expectations are raised. That said, I soon discovered that this particular gin is currently being made by experienced distillers Yahara Bay in Madison, Wisconsin. They also make Yahara Bay Gin and used to make Death’s Door. I’m sure that, if all goes well, like with Death’s Door, Greyling may fly the roost and set up shop on their own. For clarity’s sake, I think that it’s great that there is such a range of variety options for people who want to make good quality gin. The tens of thousands of dollars (or pounds) of investment, not to mention the time, needed makes making spirits from scratch out of the reach of many individuals. As always, the most important point is that you design/produce a product that tastes great. Nose: Classic and straightforward: bright, green, sappy juniper to start, which then softens to a less sharp citrus – lemon and grapefruit mainly, with a hint of lemon pith in particular. Taste: Pretty classic, rather vibrant, some spicy coriander notes upfront as well as anise or maybe fennel. A citrus (grapefruit, orange) and coriander middle and the a dry juniper finish. Some sweetness throughout almost reminiscent of a fine orange liqueur. Most sippable. Greyling makes a crisp, citrusy and flavourful Gin & Tonic. There’s also a little vanilla, combined with notes of lemon curd, as well as some dry pine. Overall, this is a very accessible and tasty drink and exceptionally refreshing. Great – another clean and crisp drink, with clean, pine-y juniper followed by some lovely rounded-out notes of sweet rose, somewhat reminiscent of Turkish Delight. Classic, but with a twist – very good, indeed. This cocktail also has a lovely texture and is something that I would happily drink again. A fine Negroni if ever there was one; a great bitter-sweet balance and quite a thick texture, as well as juniper and citrus notes. Nothing outrageous or out-of-the-box; just a good, solid drink. 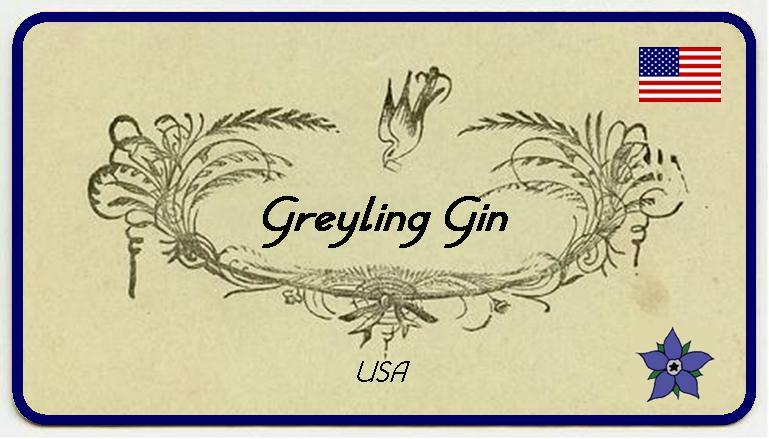 This entry was posted in Product Reviews, United States of Gin and tagged Gin Review, Greyling Gin, Michigan Gin, Two Birds Gin, united states of gin, US Gin, yahara bay by DTS. Bookmark the permalink. Thanks for the comment. Distribution is rather limited at the moment and no UK importer. It’s $28 in the USA so I would expect we would be paying at least £35 here.